6517 E. Virginia Beach Blvd. 3 month/3,000 mile warranty on every vehicle! My wife and I purchased a vehicle from Checkered Flag Auto Outlet and the experience was quick and painless. Randall Earles was able to answer all of our questions and make the purchase simple. We will definitely check out their inventory the next time we are in need of a vehicle. A Thank you to Danielle Ginther ! I love my new car ! I recently had the pleasure of being greeted by Lucas Giles while searching for my next vehicle. Not only was he friendly, he was extremely transparent without all the games. I have purchased over 9 vehicles in the past 10 years and this experience was by far the best! Being a real estate agent, I can really appreciate a trustworthy and straight shooting sales person.If your in the market for a pre owned vehicle, defiantly go see what Lucas and his team can do for you. If it was anything like my experience, you will not be disappointed. Another Great experience at Checkered Flag Auto Outlet. Mr. Randy Earles has always been my salesman and once again, he came through!!! Kind and patient with me and my family. 5+ stars for you sir. You made me smile today!!! Thank you so much. Straight to the point. I did not buy the car but they did not hide anything as far as fees and processing which is a plus because a lot of places do not do this. So kudos from me. If you’ve been looking for a great deal on a quality pre-owned vehicle, you’ll be happy that you made your way to Checkered Flag Auto Outlet. As a proud part of the Checkered Flag Auto Group family, we’re dedicated to delivering premium used vehicles and quality services to all of our customers in Norfolk, Chesapeake, Portsmouth, Suffolk, Hampton, and well beyond! As the surplus lot for the other Checkered Flag dealerships, you’ll find great deals on used cars, trucks, SUVs, vans, and more, from a wide variety of manufacturers. 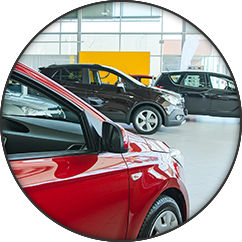 Unlike other dealerships, you’ll pay wholesale, pre-auction prices for all of these vehicles, which can save you thousands of dollars up front. Because we’re connected to the Checkered Flag Auto Group, we have access to all of their great resources as well, including affordable financing and affordable monthly payments for all our customers. Checkered Flag Auto Outlet is here for you well after your purchase, too. 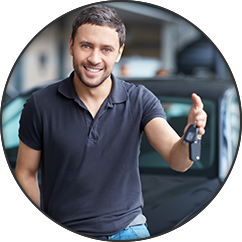 You’ll have three days to decide if you’re completely satisfied with your vehicle, and if you’re not you can bring it back to return or exchange for another vehicle. Each model also comes with a 12 month / 12,000-mile warranty, so you don’t have to worry about something going wrong. 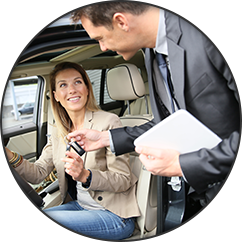 Save more money on your next used car from a dealership that has your back. Come see us today at 5055 Virginia Beach Boulevard in Virginia Beach, VA!